Holes : 9. Length : 2274mts. Par : 33. 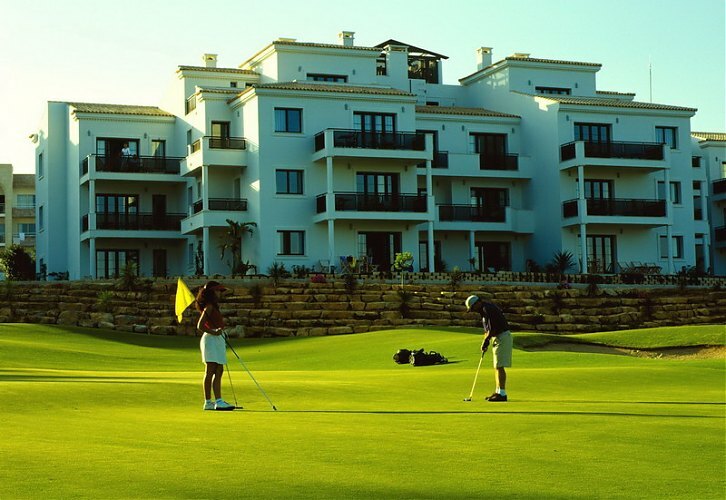 Features : Gorgeous cliff-top golf course location, surrounded by pine trees and overlooking miles of unspoiled beaches. Facilities : Driving range, putting green, chipping green, academy, club hire, trolleys. Required : Handicap Certificate. Men 36. Ladies 36. Location : Between Vilamoura and Albufeira. Leave the EN125 for the 'Sheraton Algarve'. See Map.